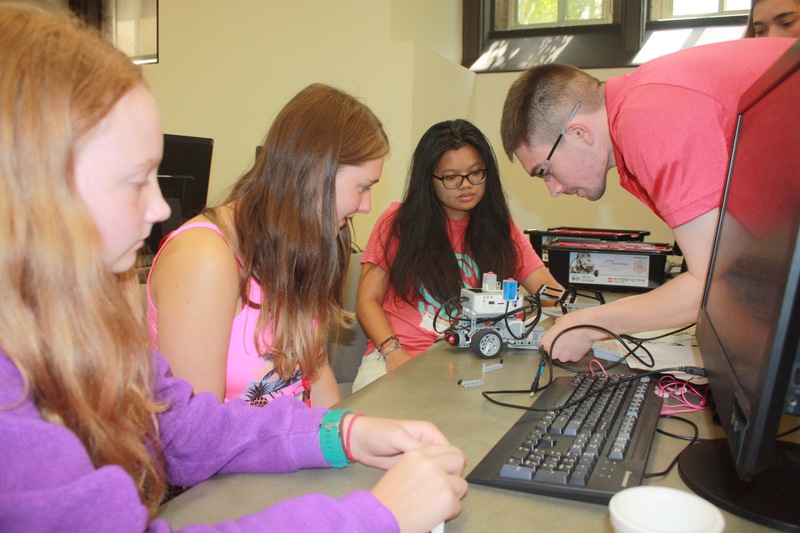 Student mentors Mickey Tran and Tyler Barker help two Girl Scouts program a robot at this month's annual summer computing camp. When Mickey Tran first attended the Department of Computer Science and Engineering’s summer Girl Scout camp, she was 16, entering her senior year of high school, and didn’t know much about coding. Through the camp, Tran had the opportunity to dive into app development, take a tour of Spreetail, and discover her future career path. 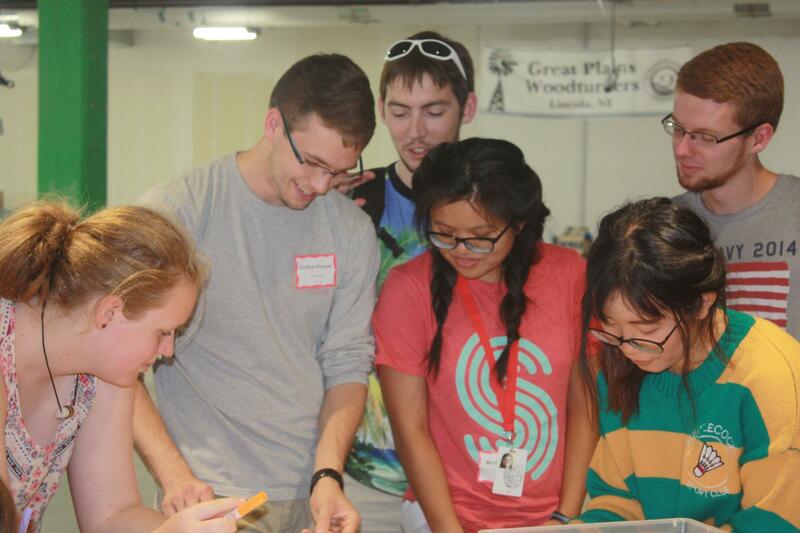 This summer, Tran returned to the camp as a sophomore CSE student, camp mentor and Spreetail intern. CSE hosted its third annual camp for the Girl Scouts of Nebraska last month. Every summer, the department invites the Girl Scouts to spend three days at the university studying computing with CSE faculty and student mentors. In previous years, the camp’s learning activities have focused specifically on app development. This year, mentors from the CSE Ambassadors and Computing for All decided to expand the curriculum to also include activities like building paper circuits and programming LEGO robots. Tyler Barker, a junior computer engineering major who co-planned this year’s camp, saw an opportunity to utilize the resources the CSE Ambassadors acquired through other mentoring initiatives to offer the Girl Scouts a more comprehensive learning experience. Student mentors and Girl Scout campers gather to work on a button project at Nebraska Innovation Studio. In addition to dabbling in more areas of computing, the Girl Scouts had the chance to spend the final day of the camp at Nebraska Innovation Campus, where they explored the Nebraska Innovation Studio makerspace and toured the Spreetail headquarters. Following the tour, the campers presented their robotics projects right in the Spreetail office. Tran said this camp offers Girl Scouts the unique opportunity to not only learn more about computing in general, but also see what a future career in the field might be like. Tran plans to continue mentoring and possibly teaching at some point in her career. She hopes to provide younger students, especially women and minorities, with the same kind of encouragement she received.